Motorized Tie Rack is the ultimate organizational solution. No more messy closets, wrinkled ties and lose belts. 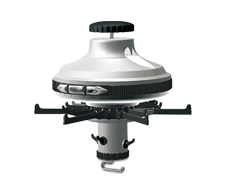 With the touch of a button, the multi directional carousel rotates swiftly and quietly until you find just the right one. The built in LED lights provide visibility to ensure you spot the right tie to match your attire. 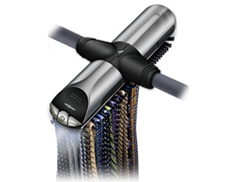 Simply attach the battery operated Motorized Tie Rack to you closet rod, and enjoy the luxury of having up to 50 neck ties and belts neatly stored and at your fingertips. Requires 4 C batteries (not included) No tools required.